The Commercial Agency Team of the Year award acknowledges companies, teams and consortia acquiring, selling, managing or leasing commercial properties during 2017. The 2018 winning team from Cushman & Wakefield tell us about their winning projects. We comprise of a team of nine leasing agents, who came together in late 2016. Over the course of 2017, we secured 160,000 sqm of appointments in the Sydney CBD, giving us the largest share of stock under control of any CBD leasing agent. Our leasing team in the Sydney CBD transacted 153 leasing deals across 102,000 sqm in 2017, which was our first full year of operation. We are proud to work for Cushman & Wakefield and honoured by the recognition of our talented, dedicated and relatively new team. Winning this award means the collaborative approach embodied by our ‘One Team, One Culture’ tactic has been recognised by our clients and the industry. Collaboration across all levels is key to our success. This involves leveraging the Cushman & Wakefield brand and relationships across the board, which is noted by our clients and fuels our success. We pride ourselves on tearing down silos and working within a flat structure to the benefit of our people and our work and, most importantly, we make the time to share and celebrate our people’s success. We are champions of diversity and inclusion in our workplace, our culture and our thinking. Our leasing team has 33% female representation, making it the most diverse leasing team in the Sydney CBD. We credit a significant part of our success to the diverse make-up, bringing a range of perspectives and skill sets to our clients’ assets. Looking towards the future, technological disruption and the adaptation of technology poses the biggest challenges and opportunities. A recent challenge to the industry is the launch of a Tinder-style app for industrial leasing that connects landlords direct with tenants. This initiative is easily scalable, low cost and easy to roll out to other asset classes and has a clear impact on the agent's role in negotiation. We have also seen the adaptation of Virtual Reality (VR) to help with initial stages of shortlisting properties. What is a time consuming but essential activity will soon become streamlined allowing more time to be spent understanding clients’ needs and negotiating. RICS can continue to be at the forefront of technology and the initiatives that are being implemented around the world. This approach will mean that this traditional industry can become a leader in the adoption of technology for its clients and occupiers, creating the most viable solutions for the future. 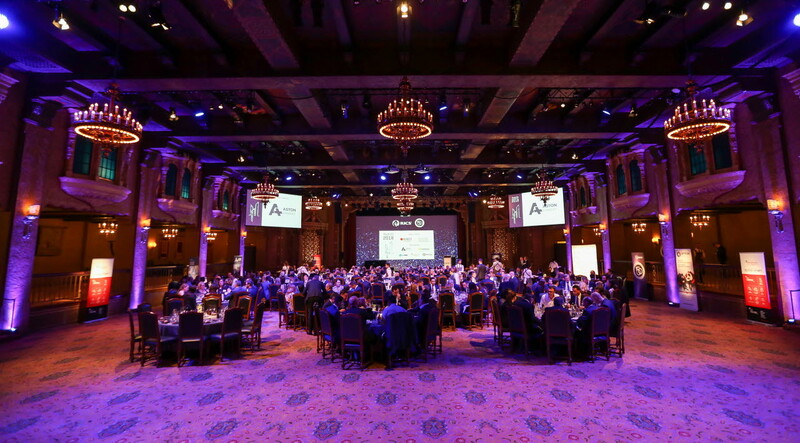 Interested in submitting a nomination or attending the RICS Awards Australia 2019? We are proud to have been recognised by such a well-respected industry body and be able to share this honour with our clients.